The wise say that the Tao that can be talked about is not The True Tao. Still Sages such as Bhagavan Ramana manage to indicate the existence of the underlying Reality with words and without words. Self-Realized sages point to the Truth easily and spontaneously. Knowledge of Reality is not just their first hand knowledge but their very Being. Bhagavan Ramana, through his silence, words, and actions, was always pointing at the highest reality, the Heart of existence, the Self. 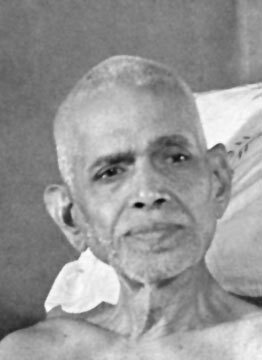 Even in minor things like giving instructions on cooking and eating food, cutting wood, or other matters, Bhagavan was doing that. Sages like that are more than just satsang givers, good public speakers, and charismatic orators. Therefore, the central truth to be grasped by a devotee of Bhagavan Ramana is that whatever is real, permanent, eternal, must be Here and Now also. In this very moment! Therefore the sages declare that, That which is Real, Absolute, Eternal cannot be gained. It is so because you are already That! What You already Are cannot be attained because it is your very nature, very being. Is it possible for a person to “battle” this acceptance, to neglect it when it is not convenient? To overall find ways to disrespect the knowing out of fear or insecurity? I’ve always been under the impression that this deep knowing is permanent. What happens if you realize it, but allow it to be obscured? How can you hang on to it, even when one is, say, a terrible meditator?